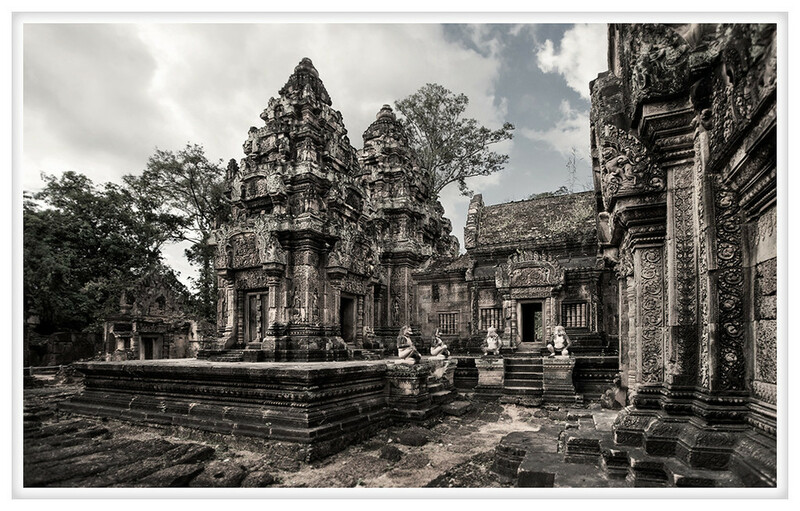 Banteay Srei is the jewel of the Angkorian crown. Although small in size and scale the red sandstone temple is the most ornately carved and elaborately decorated. It survives in remarkable condition and if extremely popular with tourists despite being rather far afield. Nevertheless, it is worth braving the crowds and taking you time to soak in this absolutely stunning example of Khmer art and architecture.